You are here: Home / Blog / How Big is a Gig? USB Flash Drives standard memory capacity can range from 128MB, all the way up to 64GB. 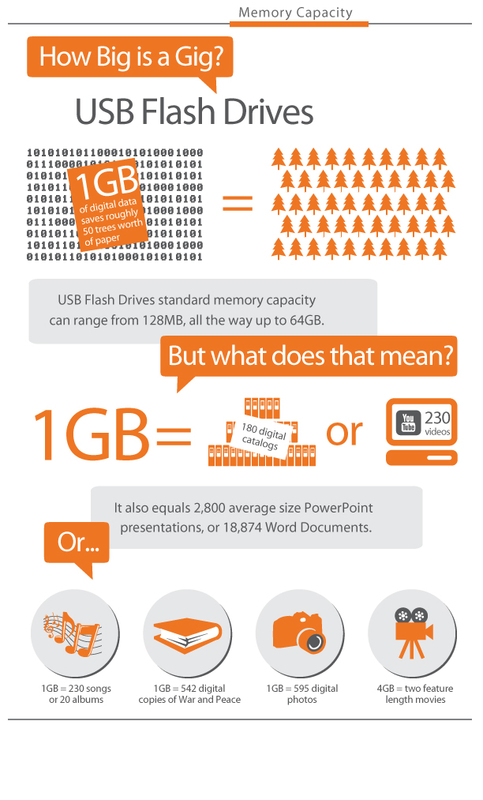 The most common memory size sold for the promotional industry is 1, 2 and 4 gigabyte. Flash drives, also known as thumb drives come in a variety of shapes and sizes. But how Big is a Gig? What does that mean? How much do I need? We think this graphic will help!